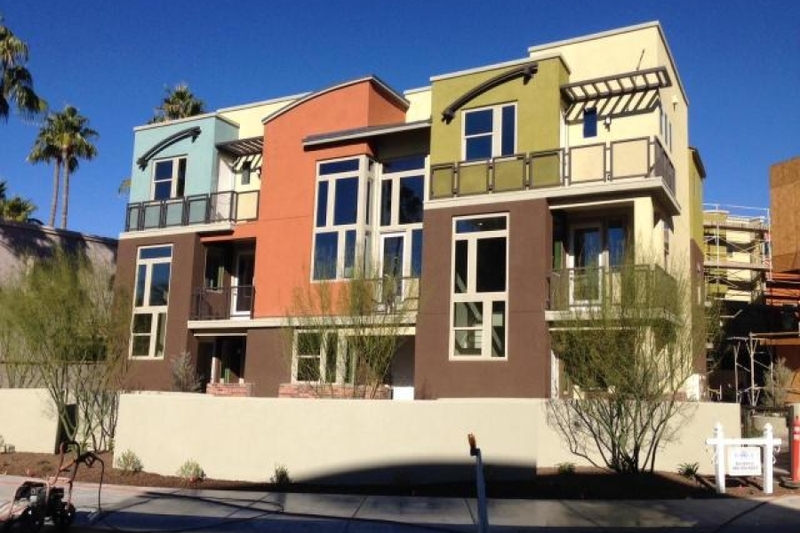 Each residence at Trio Scottsdale Lofts features a private attached 2-car garage, inclusive of storage area and direct ground floor access to your home. As you’d expect with a luxury style home, these condominium residences have been created with incomparable standard amenities including upgraded stainless steel appliances and quartz counter surfaces and exquisite tile surrounds in the kitchen and baths. The Trio exteriors are also stylishly showcased by galvanized steel roof, beam and railing accents. Unexpectedly though, you’ll find in each Trio Scottsdale Loft residence strategically placed windows, allowing for a bit of the warm Arizona sun to shine light into your unique living space… creating a melody of sunshine in harmony with your life! Ranging in size from 1,375 to 1,565 square feet, each loft-style residence is engineered to offer the finest in construction techniques and design and also allow for energy efficiency and sustainability. And, uniquely designed balconies and porches on each living level are included with each residence.